Vision PVC Ltd specialise in double glazing and PVCu products, including UPVC casement and sliding sash windows, composite, PVCU and bi-folding doors, roofline products, conservatories, tiled conservatory roof conversions, and bespoke aluminium orangeries. We’re also one of North Yorkshire’s only Which Trusted Traders. Our family run business boasts over 20 years’ experience in the industry and we are proud to be an independent company serving the North Yorkshire area, including Thirsk, Northallerton, Ripon and Harrogate. Our friendly team and CERTASS registered installers are experts in their field and are always happy to help. We’re so confident in our workmanship and our products that we offer a 10 year insurance-backed guarantee on materials and workmanship, as standard. 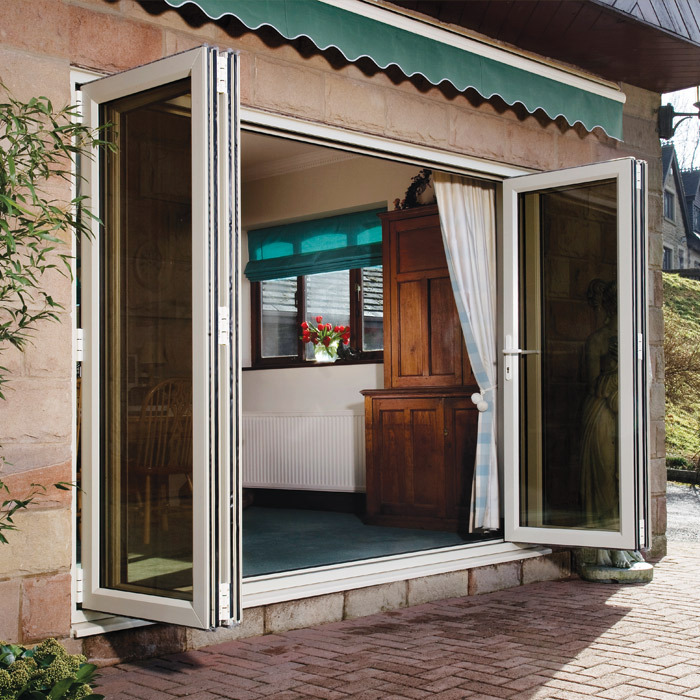 We use only the highest quality glazing, aluminium and PVCu products. 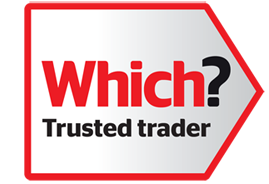 As a WHICH trusted trader, Guardian Warm Roof approved installer, REHAU authorised partner and LABC approved installer, we can promise that your home is in safe hands. 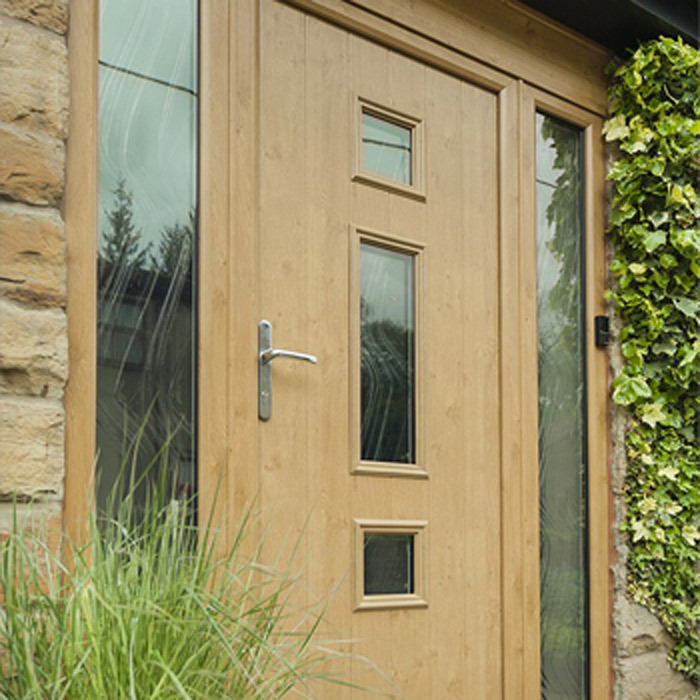 Protecting your property has never been easier with our range of Solidor composite doors and our secure, energy efficient aluminium bi-fold doors. 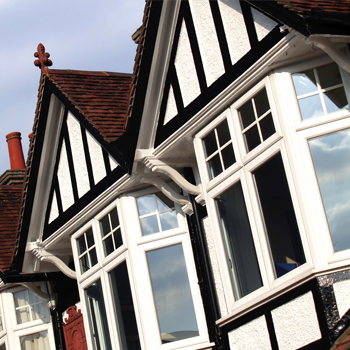 Our PVC casement windows and flush PVCu sash windows also come complete with a variety of security features and are available in a variety of styles and colours, making them suitable for properties of all ages and types. We could all do with more breathing space at home. Conservatories and orangeries bring the outdoors into your home, giving you fantastic views of the garden and the extra room to relax and unwind with friends and family. 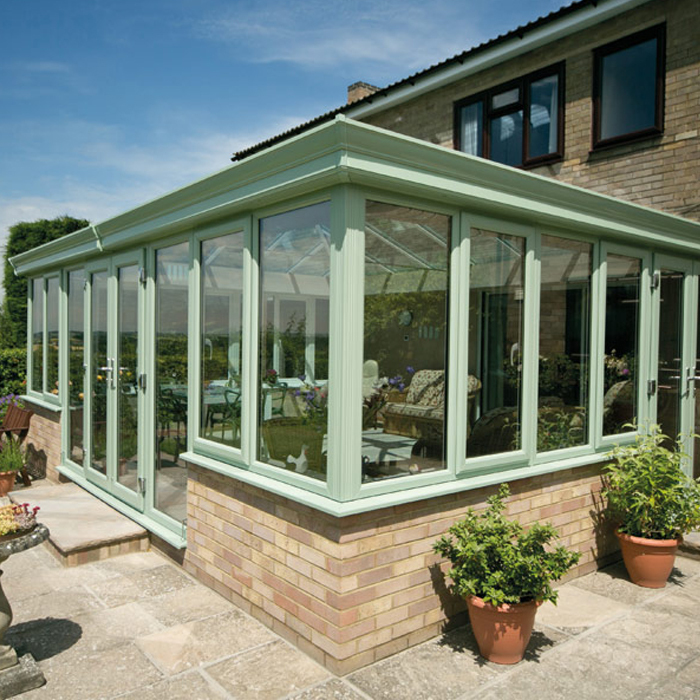 Talk to us about the style and colour of your dream conservatory or orangery today. Cast natural light into your home with a Skypod lantern roof from Vision PVC Ltd, an innovative alternative to an aluminium skylight and a pocket-friendly way to increase the space and height of a room. Find out more today. If you already have a conservatory but the wintery draughts render it unwelcoming, we can transform this cold, inhospitable space with a tiled conservatory roof conversion. 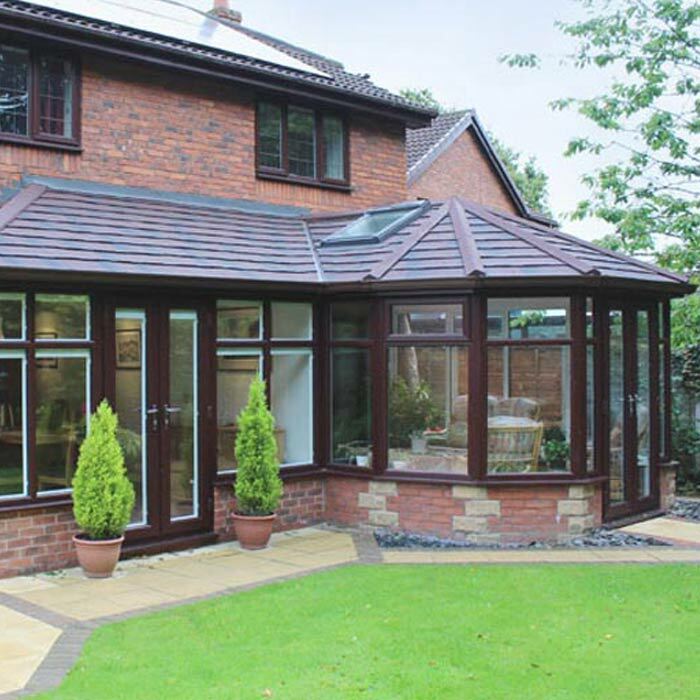 If you would like to find out more, our experienced team can advise you on the advantages of a Guardian Warm roof and walk you through the process. 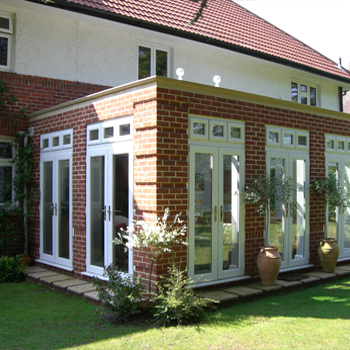 Orangeries create additional, usable space that looks more like part of your home than a conservatory. 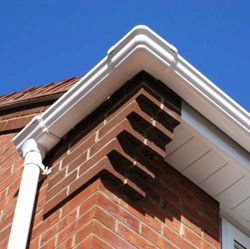 Our Swish and Freeflow roofline products protect, update and modernise your home. 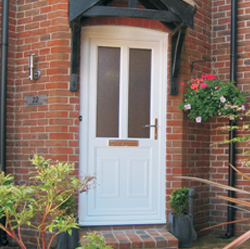 If a beautiful, safe and sturdy PVCu door is what you’re looking for, our wide range of decorative panels. We believe in fitting only the highest quality products available. By carefully selecting all the products and materials we use, you can be sure that not only will you be thrilled with the way your new windows, door or conservatory look, but also that they will be stunning for years to come! What’s more, we provide a 10 year guarantee, insurance backed, on all our installations. All our windows are ‘A’ rated as standard’ and all our doors come with high security locks as standard so you can rest assured that with Vision PVCu Ltd, you are always in safe hands! At Vision Windows we are passionate about good service. We devote our energy to providing a dedicated, personal service and the highest standards of installation that deliver beautiful results that stand the test of time. No salesmen are employed so you can be sure of a hassle free experience from the initial consultation, right through to the final inspection. Above all we believe that you should be our top priority and we should treat your home as we would treat our own. Variety is the spice of life, and to celebrate that fact we believe we offer an unrivalled choice of products to help you create your dream home. By working with carefully selected manufacturing partners, we are able to offer solutions to any design challenge, ranging from a traditional, timber effect front door to an ultra-modern conservatory. All available in any colour you desire! By choosing Vision Windows, your home improvements really are only limited by your imagination!